ADA Parking Lot Services - Paving Professionals, Inc.
Public accommodations and commercial facilities, including multifamily properties, must follow the requirements of the latest ADA Standards, including both the Title III Regulations at 28 CFR part 36, subpart D, and the 2004 ADAAG at 36 CFR part 1191, appendices B and D. Our team has the right knowledge and expertise to manage the installation or renovation of lots to meet all applicable laws. 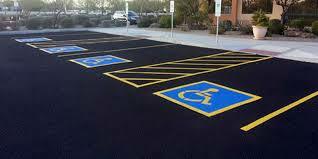 We offer asphalt and concrete ADA parking lot options. We also offer ADA handicap ramps and signs. 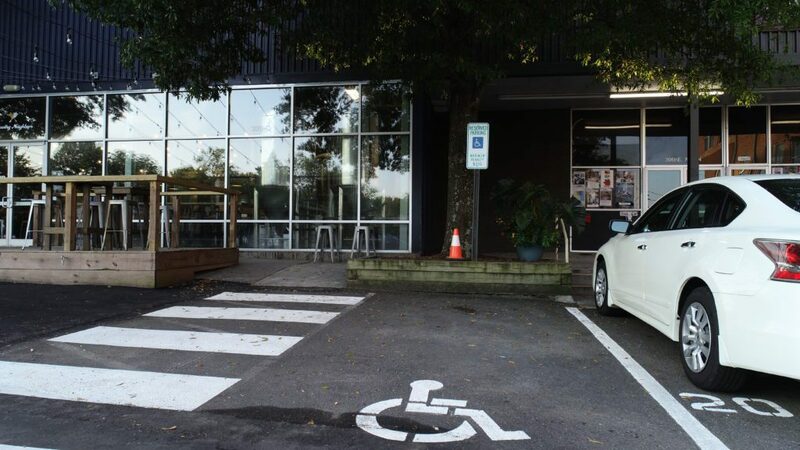 Our team has the right knowledge when building ADA compliant parking facilities. To be in compliance with ADA code, signs must be on an upright sign pole or wall located in front of the parking stall. How many accessible parking spaces are needed? The minimum number of accessible parking spaces required depends on the total number of parking spaces in the lot, as seen in the table below. Furthermore, one of every six accessible parking spaces, or fraction of six, must be “van-accessible.” For example: A parking lot with 400 total spaces needs eight accessible spaces, and two of those eight spaces must be van-accessible.